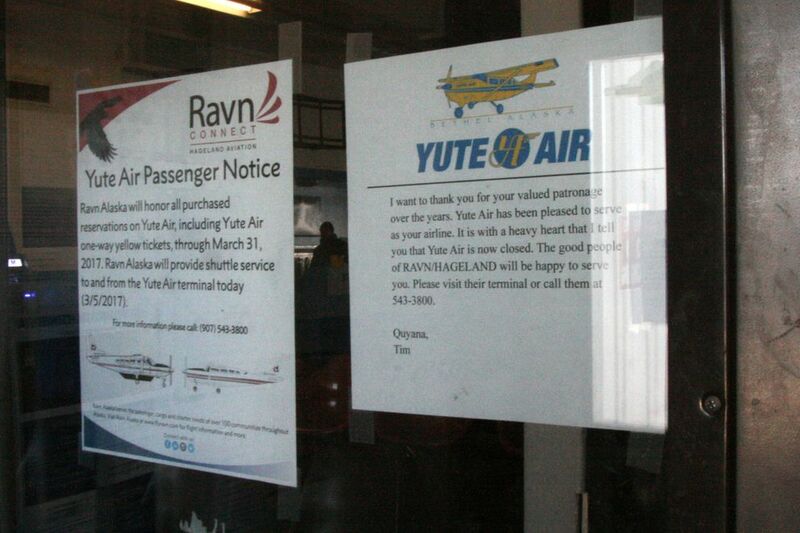 BETHEL – As it shut down operations, regional air carrier Yute Air sold its 14 planes and Bethel buildings to longtime competitor Ravn Alaska, Yute's president said Monday. 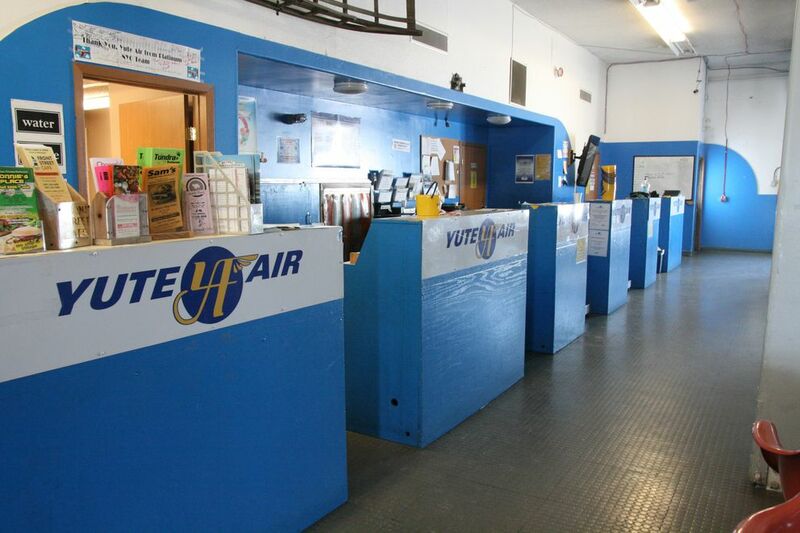 Tim Vottis, Yute's president and owner, said the flight business as a whole was not bought by the much bigger carrier. But its Cessnas – 12 207s and two 172s – were sold, as was its hangar and crew housing in Bethel, he said. Yute abruptly announced over the weekend that it was closing. Ravn said it would honor pre-purchased tickets and, through March 31, yellow ticket vouchers. Yute served 25 villages in the Yukon-Kuskokwim Delta and employed about 50 people. Vottis said he couldn't say why the small carrier with roots going back 40 years shut down. "I'm bound by a lot of confidentiality," he said. For airlines ending operations, sudden closure is the industry norm, he said. "This is a business that requires the highest level of safety," Vottis said. "Were I to make an early announcement, then my pilots are spending their time focused on more than worrying about their landing. They are focused on their job ending, what their future is going to be." Its terminal in Bethel houses two other businesses, Brother's Pizza & Subs and Lucy's Cache, a gift store that features some handmade boots, qaspeqs and crafts. Both are still open. Yute, one of the main carriers traveling to villages in the region, used to deliver pizzas by plane along with passengers. 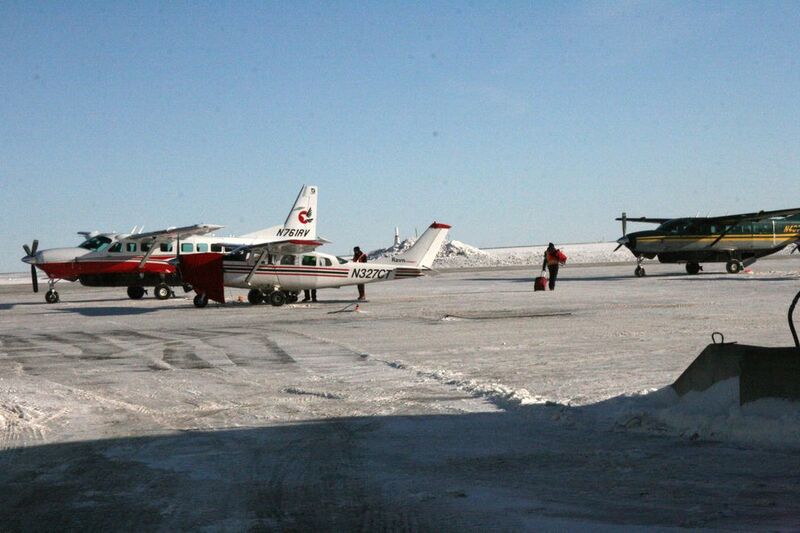 Ravn, a much bigger operator, added new flight routes to Kuskokwim-area villages of Napaskiak, Napakiak, Goodnews Bay and Platinum. It also interviewed Yute employees over the weekend in Bethel for possible jobs. Jim Hickerson, president of Ravn Alaska's Hageland Aviation, did not return a phone call on Monday.